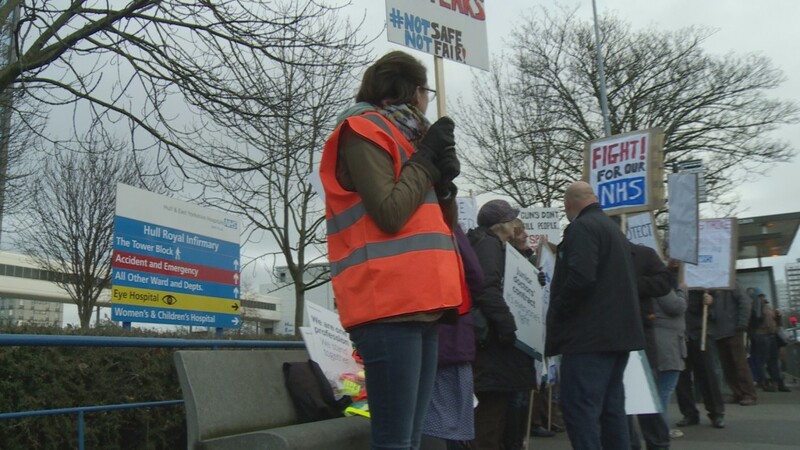 Hospitals in Hull are gearing up for the next wave of industrial action by junior doctors, which will begin next week. Late last month, the BMA announced three further sets of strike dates after national negotiations around changes to junior doctors’ terms and conditions failed to reach agreement. As a result, junior doctors will be providing only emergency cover between 8am on Wednesday 9th March, through to 8am on Friday 11th March. Locally, this will affect services at both Hull Royal Infirmary and Castle Hill Hospital in Cottingham. Two further 48hr strike periods are also planned for 6-8 April and 26-28 April. “We recognise the junior doctors’ right to take industrial action, so we will be implementing our business continuity plans to try and minimise disruption for patients and ensure our services can continue to run safely. “As was the case during the recent 24 hour strikes, extra support has been arranged for those areas which are expected to come under additional pressure. This includes more pharmacy support for our wards to help with prescribing issues and patient discharge arrangements, and extra technical support to help staff with electronic patient record systems. Emergency care will be unaffected by the upcoming strike action as junior doctors will continue to staff this service. Picket lines are expected outside Trust premises on both strike days, but will not block access to or from the sites for patients, staff and visitors. Those patients who have appointments or surgical procedures scheduled to take place on Wednesday 9 March or Thursday 10 March are asked to attend as planned, unless they have already been contacted by a member of hospital staff to cancel and reschedule.